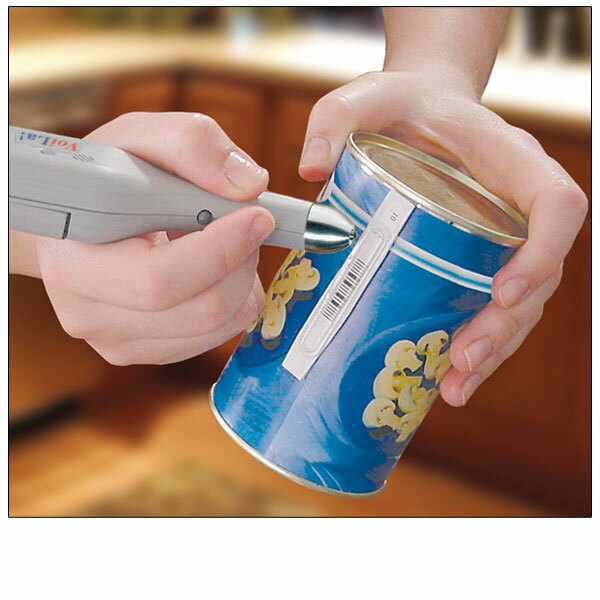 Transform all your printed product labels into voiced ones and make the world talk to you! VoiLa Voiced Label Reader is a complete system designed to give the blind and those with low vision greater independence. 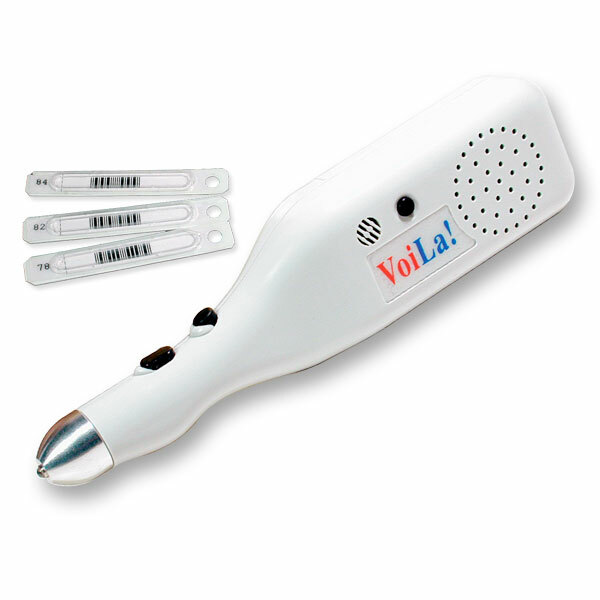 VoiLa, a MaxiAids exclusive, is a voice output bar code reader labeling system that consists of reusable labels that can be attached to objects, and a pen-shaped device with a sapphire lens or eye that reads the labels and plays back your pre-recorded messages unique to each code, identifying the item for you in your own voice. Labels are tactile, so they are easy to locate, and have an adhesive backing for affixing to objects. They can be sewn or taped to objects, or simply hung from them. Record up to 250 voiced labels. The kit includes labels numbered 1 to 50. Additional sets of 50 (up to 250) may be purchased separately. Included in your VoiLa kit are: one scanning pen, instructional cassette, labels numbered 1-50, attachment accessories (rubber bands, Velcro strips, magnets and zip ties) and 2 AA batteries. - Dimensions: 6-1/8" x 1-1/2" x 1"